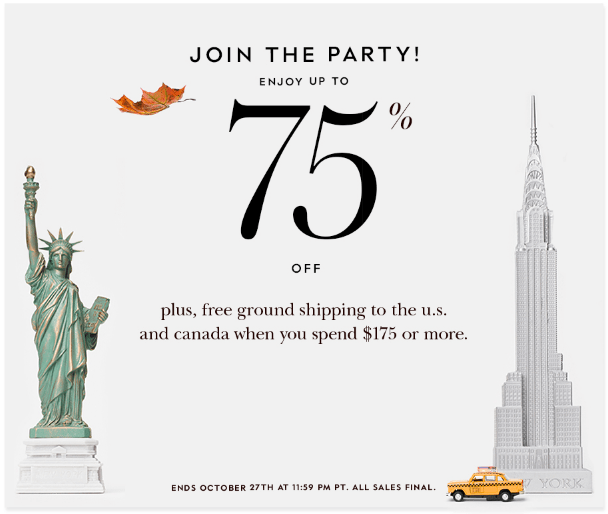 The Kate Spade surprise sale is valid until Thursday, October 27, 2016 at 11:59 pm PT. All sale final. Click here to get Kate Spade online offers.